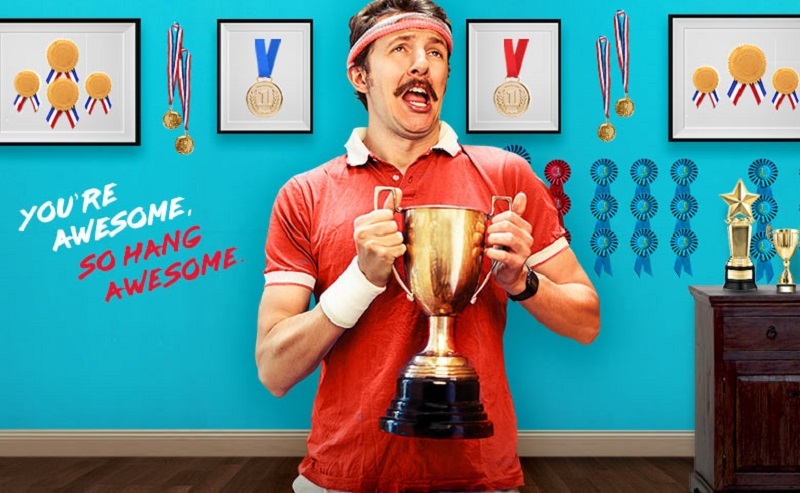 LONDON – Nov. 13, 2017 – To showcase the range of applications for its VELCRO® Brand HANGables™ Removable Wall Fasteners, the VELCRO® Brand has launched a new digital campaign encouraging users to find their most creative side and “Hang Awesome” with the Brand’s signature hook-and-loop fasteners. Featuring the Selfie Queen, the Rocker who loves her album art and the Staycationer seeking his escape through tropical art and posters, the videos and stills celebrate unique tastes and hobbies. By utilizing the #HangWithUs hashtag, the company aims to create a community of idea-sharing and recognize the many and varied ways individuals express their style. The campaign, which launched in full on Nov. 13, was created by Boston-based Genuine. It is designed to celebrate the unique and quirky ways people can share their style and interests by “hanging awesome,” and utilizing HANGables™ fasteners to display art, photographs, posters, frames and other items that can be affixed to a wall. The spots will run on Facebook and Instagram. HANGables ™ fasteners are available in 5 shapes – square, curves, large and small strips and corners – and can hold up to 16 pounds. Each features a special adhesive that allows users to easily remove from the wall or select surfaces without any damage. The fasteners are available on www.velcro.com and select retailers. To learn more about HANGables™ fasteners please visit https://www.velcro.com/hangwithus/. Velcro Companies is a technology-driven, global organization providing fastening solutions that solve problems in simple, elegant and surprising ways for businesses and consumers around the world. We have a heritage of innovation spanning more than 50 years and own over 400 active patents and numerous trademarks, including the VELCRO® trademark, which is registered throughout the world. We develop and deliver solutions for customers through an integrated production and service system that includes manufacturing locations in the United States, Belgium, Canada, Mexico, Uruguay, Spain and China and sales offices around the world. To buy genuine VELCRO® brand products and to find out more about our company, visit www.velcro.com and www.dontsayvelcro.com.